Here at digital urban, we are enthused to announce that the first episode of The Global Lab podcast from CASA is now available on iTunes. 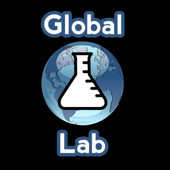 The Global Lab is a podcast about cities, global connectivity and the impact of technology produced by the UCL Centre for Advanced Spatial Analysis (UCL-CASA). Each episode features the latest news and perspectives from urban analysis, social complexity and innovation, as well as interviews with cutting-edge researchers from UCL-CASA and guests from further afield. As i mentioned in the previous trailer post – this as an exciting development in our outreach at CASA, thanks go to Martin and Steven for pushing this forward and of course the Beacon Bursary Scheme at the UCL Public Engament Unity for funding the equipment. Hi, is this podcast available on the Internet too?